We’ve known for decades that CAI homeowner volunteers, community managers, and business partners work hard every day to ensure the well-being of their community associations. Over the past two years, we’ve also discovered that CAI members are dedicated to bettering the world around them. During our 2018 Annual Conference and Exposition, CAI partnered with Clean the World, a global social enterprise focused on improving health through water, sanitation, and hygiene to help those in need. CAI volunteers assembled more than 500 hygiene kits to donate to D.C.-area homeless veterans. That volunteer effort followed on the heels of the 2017 Annual Conference and Exposition, when CAI members bagged 10,000 pounds of pet food for the PAL Humane Society in Las Vegas. These two instances of giving back occurred while CAI members were enjoying our events, and we’re confident our members exhibit the same volunteerism on their own time and within their local areas. 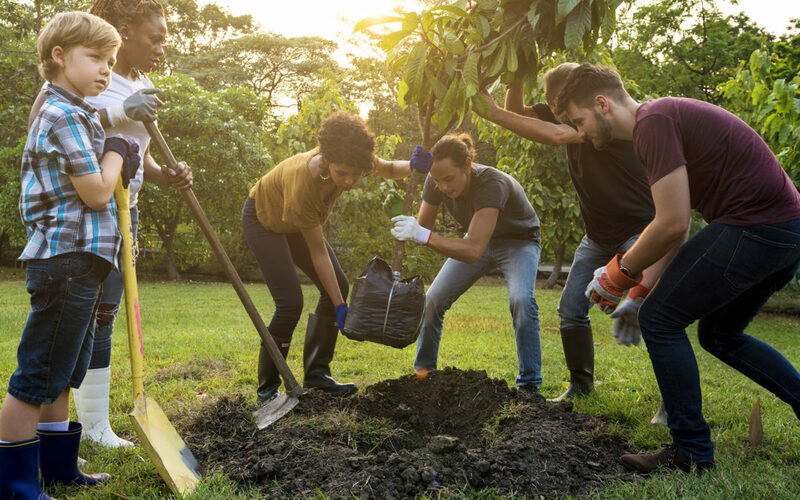 Given the very nature of community associations, it should come as no surprise that CAI members are acutely aware of the value of volunteerism. 1. Safeguard your self-interests. Protect your property values and maintain the quality of life in your community. 2. Correct a problem. Has your car been towed, or do you think maintenance has been neglected? 3. Be sociable. Meet your neighbors and make friends. 4. Give back. Repay a little of what’s been done for you. 5. Advance your career. Build your personal resume by including community volunteer service on it. 6. Have fun. Association work isn’t drudgery. It’s fun accomplishing good things with your neighbors. 7. Get educated. Learn how it’s done—we’ll train you. 8. Express yourself. Help with creative projects like community beautification. 9. Earn recognition. If you would like a little attention or validation, your contributions will be recognized and celebrated. 10. Try some altruism. Improve society by helping others. 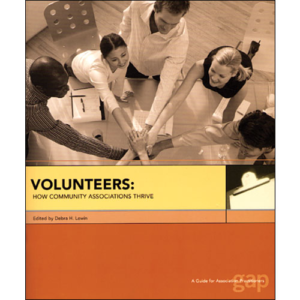 For more information about volunteering, check out CAI’s Volunteers: How Community Associations Thrive, available for purchase at CAI Press. Daniel Brannigan is CAI's Director of Publishing and Managing Editor of Common Ground™ magazine. He has been editor of CAI's flagship publication since 2010 and previously edited CAI's newsletters Community Manager, Minutes, and Law Reporter. Daniel has helped guide Common Ground to awards for feature article design and single-topic issue from Association Media & Publishing's EXCEL Awards. Community Manager picked up six awards for general excellence and newswriting under Daniel's guidance from 2007-2010. A former reporter, Daniel is a graduate of Syracuse University's S.I. Newhouse School of Public Communications. He lives in Philadelphia with his wife, daughter, pug, and cat.